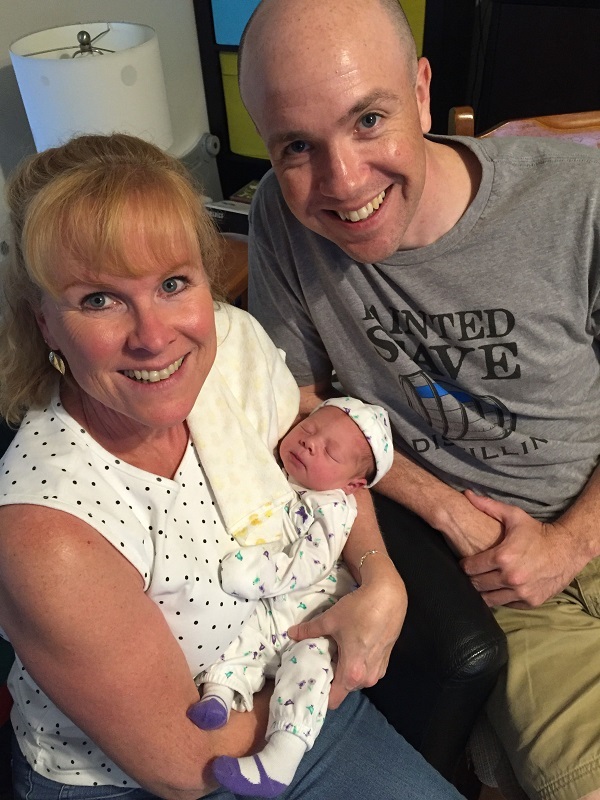 I’m a new grandmother, and I’m in absolute heaven! But I don’t feel like a grandmother… on the inside or the outside. If you’re like me—growing older every single day (who isn’t? )—you’re probably looking for ways to keep your outside just as youthful as the inside. I’ve begun making my own homemade face toner to help with that problem, and I love it. That’s it! Mix together 1 part witch hazel with 1 part rose water. To use, wash your face, rinse, and allow your skin to dry. Apply toner using a cotton ball or a make-up pad, or put the solution in a small, travel-sized spray bottle and spritz it on your face, neck, and décolletage area. Let dry, then moisturize before applying make-up. Witch hazel is a plant native to North America, sometimes called winterbloom. The bark, twigs, and leaves are used to make a wonderful product for the skin. For years, it’s used in shampoos, aftershave, shaving cream, nail treatments, bug repellent, anti-aging serums, and *whispers* hemorrhoid creams. If you ask me, the special thing about witch hazel is its astringent quality—it causes the contraction of tissue—which means it will make your skin more elastic, give your skin that “snap back” that is lost with age. It kills bacteria which lurks in skin pores; it reduces inflammation, speeds healing, and slows the signs of aging. Rose water is the result of the steam distillation of rose petals and it has natural anti-inflammatory properties that help calm red, irritated skin. It’s good for use after an application of retinol or for those who suffer rosacea for example. Rose water is also an anti-bacterial, it contains antioxidants (vitamins A and C which help repair sun damage), and it hydrates the skin. 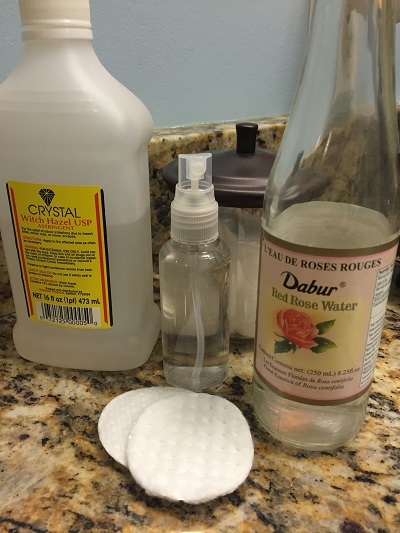 This homemade toner is inexpensive. For under $5, you can make enough product to last months… and months. Now here’s a picture of me with my son (the new daddy) and my lovely, new bundle of joy, Astrid. Her name is Norse and means “divinely beautiful.” She’s very aptly named (yes, I’m biased). This is a great tip, Josie. I always look and feel so much better when I'm well-rested. Congratulations, Donna. Lovely picture. Thanks for the beauty tip.